Will the Real ‘Mrs. Langtry’ Please Stand Up? 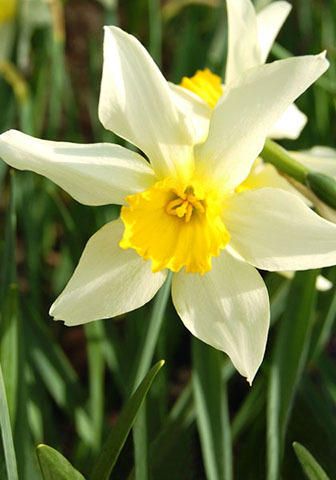 Unfortunately we recently discovered that the daffodil we’ve sold for many years as ‘Mrs. Langtry’ is actually some other as-yet-unidentified daffodil. As you can see, our NOT ‘Mrs. Langtry’ looks a lot like the true ‘Mrs. Langtry’, and it’s definitely a very old daffodil, most likely from the late 1800s. 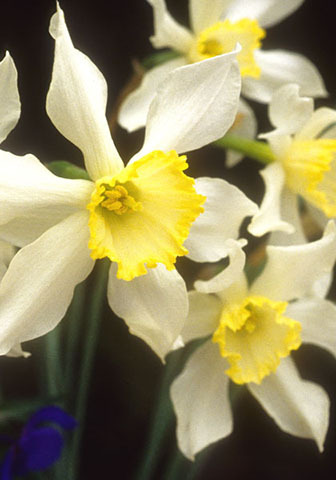 (c) I’ve seen how surprisingly different a daffodil’s colors can look in the Netherlands or England – with mild, more northerly sunlight and cool, moist air – as compared to Michigan and most of the US where spring is brighter, drier, and warmer. However, it’s now become clear that our bulbs were definitely something other than ‘Mrs. Langtry’. We’ve contacted all of our customers who ordered ‘Mrs. Langtry’ and offered credit or a refund. We’re also working with the ADS to clear up this confusion online and in future daffodil shows – and we hope you’ll help us spread the word. And now for a happier correction: Breeder William Backhouse apparently named ‘Mrs. Langtry’ not for Lily Langtry, the scandalous actress, but for his family’s beloved housekeeper who was also the wife of one of their gardeners.